Nancy Weaver with plants for sale. 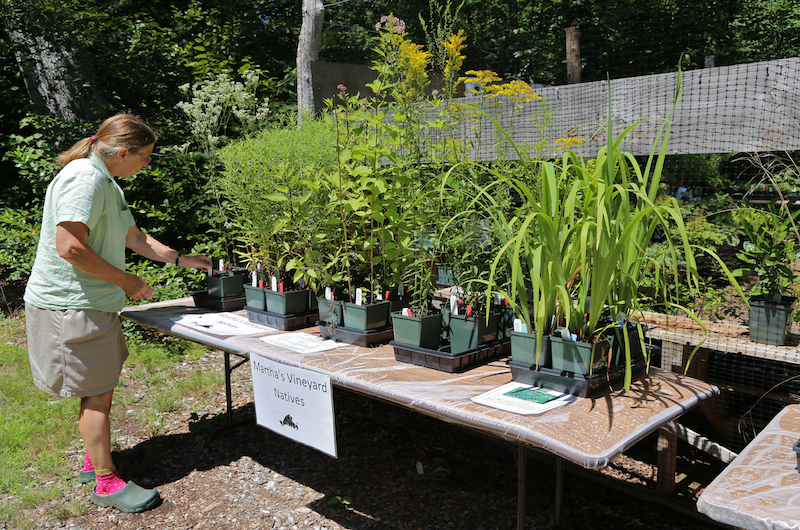 The perfect time to plant is upon us and the Polly Hill Arboretum offers its fall plant sale from 10 a.m. to 2 p.m. on Sept. 14. Staff will be available to answer questions about the Vineyard climate and plant selection. For further fortification, stick around until 1 p.m. when Theresa Sprague, owner of BlueFlax Design in Mattapoisett, presents Meadowscaping: A Love Story. Call 508-693-9426 for details or visit pollyhillarboretum.org.